Freewine: You probably caught a glimpse of myself or my fishing partner Sunday at Dripping Springs. We were on the water @ 5:30am and headed for Honeydos @ 10:00am. Dan fishes out of an OK Ambush and my ship is a Malibu X-Factor. Evenings are nice but mornings are better ! 5:30am, wow that is tough! I'm sure I would have to sleep right on the lake shore to make it onto the water that early. 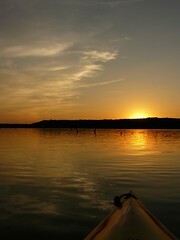 I think I will save my sunrise paddling for a little later in the year. I wished I had stopped for a closer look at your kayaks. 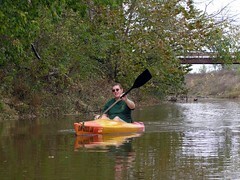 My wife is looking into buying a big ol' Malibu kayak in Arkansas this month. So how was the fishing at Dripping Springs last weekend?